Yes Please. I'd love to hear about special offers and discounts. 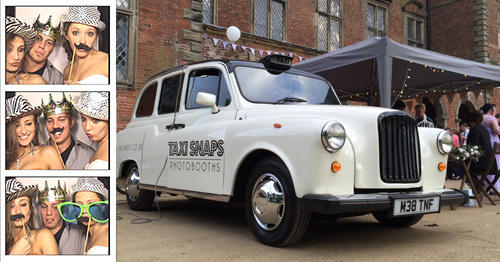 Taxi Snaps would love to send you occasional offers, competitions and news by email. We treat your personal details with care and will never sell your personal information to a third party for marketing purposes. You can opt-out at any time so why not give it a try? Blow your guests away with our unique Taxi's that's jam packed with tech & free goodies! Why not give us a call or send us an email to discuss your bookings. We are also available on all major social media too. Got A Question? We try and provide as much information as possible, but we appreciate that every event is different so please feel free to get in contact to discuss any matter whether it be availability to or anything.